This entry was posted in Epictetus on February 20, 2016 by Massimo. I thought it was interesting that this was a position I came to in the relatively early days of the Internet. In many of those early forums, the virtuous were not anonymous and attempts at discussion frequently resulted many useless diatribes and in some cases pseudo tutorials about fallacious arguments. It always reminded me of sitting in a freshman philosophy course and listening (usually to the same guy) talk about how nothing was knowable or meaningful. I learned to quickly abandon both those discussions and those web sites. I probably had the predisposition, but the Internet propelled me solidly into the Stoic camp. Being something of a relativist myself, this fails to resolve anything for me–though I don’t want merely to equivocate. What do we mean by “universal” but a bounded, human realm of nature and experience–of the senses and of the mind, which are somehow transcendent in their grasp withal their limitations and conditioning? Look at the passion with which Epictetus rails; a mode of rhetoric since he can no more substantiate his universalist “inferences” than the academics can deny “species” of universalism. Truisms which can’t be substantiated empirically are not necessarily nonsense and may even be universals (in some suitably limited sense). But we are constrained by the relativism we’re obliged to acknowledge in terms of historical/cultural/linguistic currency. Postmodernism at its best is not a veto on logic, but a caution against hubris in acknowledgement of the problematics of symbolic/discursive constructions on reality. 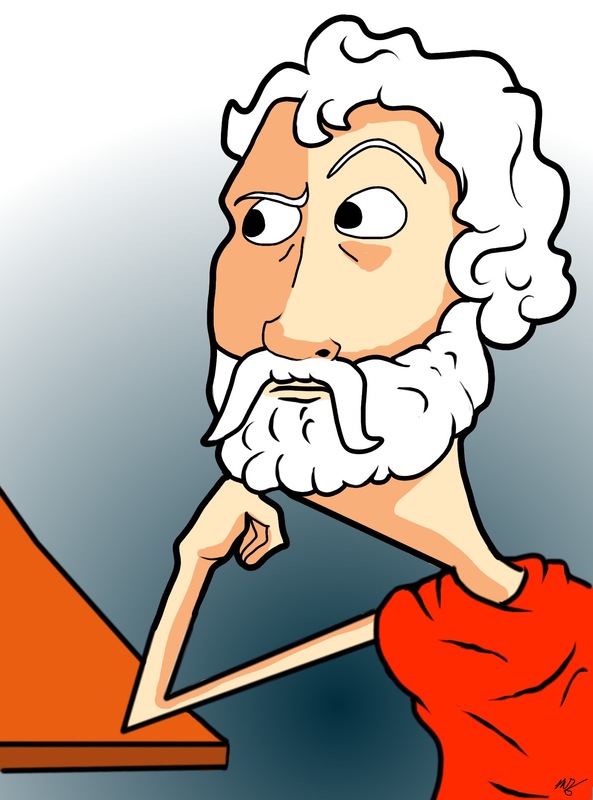 The linguistic turn long post-dates Epictetus, but then there was Pliny, for whom “nothing is certain except that nothing is certain”. All this aside, it would be nice to focus on what’s really important (? ), “to use philosophy for the common good…”. But the “common good” presupposes the existing order, and practical philosophy amounts thus to a mode of ethical triage–“insinuating” rather instituting a virtuous order in any truly universal or radical sense. Science and virtue ethics work for the existing order by default. Reading up on Epicurus last weak I was a bit troubled by what seemed to be extreme caution regarding other people. On the other hand the Stanford encyclopedia indicates that he placed a premium on friendship. Are you aware of whether or not Epicurus addresses this apparent contradiction? My take is that Epicurus did value friendship as one of the few achievable goods for humans, bringing pleasure and helping to reduce pain. But yes, he was very cautious about people who are not within one’s circle of close friends. No logical contradiction there, but the resulting picture is one of a very inward looking philosophy. That was sense I got. Of course Marcus was also pretty wary of others, but he seems to approach the issue less from a position of fear, and more from one of finding understanding for what motivates others and working on his tolerance. If we think of our inner circle as being something preformed & static then I suppose there is no contradiction for Epicurus. I was just wondering if he had laid out more nuance in resolving the basic tension that would have to be there in forming said friendships while being so guarded. Was there some method he proposed for filtering out the trusted inner circle, did he look inward to question himself, and if so was his approach radically different from the stoics or a matter of degree. Or did he just sort come from a place where the inner circle was assumed already in existence? I hear lot from the positive psych folks I know all over social media who preach avoiding ‘negative people’, which often is just people who disagree with them. I think it’s a big problem so I’m interested in the issue. Yes, but one of the reasons I’ve always been rather unsympathetic to postmodernism is that those authors tend to deny any kind of human universal, which flies against both commonsense and systematic evidence from comparative anthropology. Which is precisely the sort of thing Epictetus would have (rightly, in my mind) rejected as self-contradictory: was Pliny certain of that assertion? Again, I don’t see why. Hmm, at this site I found a number of quotes attributed to Epicurus. Some are in line your interpretation Massimo, but some seem pretty reasonable and include an attempt to be inclusive. So here he seems to be saying first widen your circle, then protect yourself but don’t de-humanize and as a last resort isolate. Not the latter. Indeed the quote you found seems to sketch Epicurus’ method. Perhaps. It’s likely that he meant this as a dynamic process. After all, he did accept new students (friends) in his Garden. But I think the general consensus that Epicureanism is a cautious, inward looking philosophy is not undermined by this. About the positive psychology movement: I’ll write a separate piece on it and its relationships with / differences from Stoicism.